Endless knockbacks left 14 young jobseekers feeling frustrated and rejected. Looking to build their confidence, the group decided to take on a challenge that would benefit their local community. Seeing the reaction from the students, and what we’d achieved, was just amazing. We’re all so proud. The group discovered that The Collett School in Hemel Hempstead was struggling with a lack of age-appropriate books for teenagers with reading difficulties. Setting their sights high, the young people decided to write and produce a series of six books for the school. 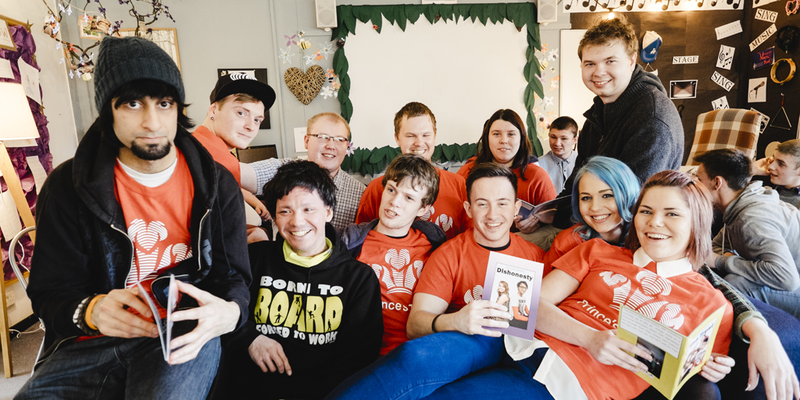 The young people were on a Team programme delivered by YMCA Bedfordshire. Due to a lack of resources, the pupils had to use books aimed at primary school-age children which left them feeling uninspired and demoralised. Setting their sights high, the young people decided to write and produce a series of six books for the school. With no experience of publishing, they knew the learning curve would be steep. After researching printing companies, they raised £1,000 by organising a pub quiz and persuading local businesses to donate funds. They then collaborated with pupils in order to choose appropriate topics – including alcohol, homosexuality and anxiety around starting college – and teachers gave guidance on the kind of language that would challenge students, while keeping them engaged. Over the next 10 weeks, the team worked flat out to produce the books in time for their final presentation. Responding to students’ requests, the team split into groups to work on photography, visual design and scripting, challenging themselves to create a valuable resource that could be used for years to come. When we gave the books to the students and their head teacher, we were choked – nearly all of us in tears. Seeing the reaction from the students, and what we’d achieved, was just amazing. We’re all so proud. The group developed creative, planning and teamwork skills that they are now using to work towards careers and training placements.